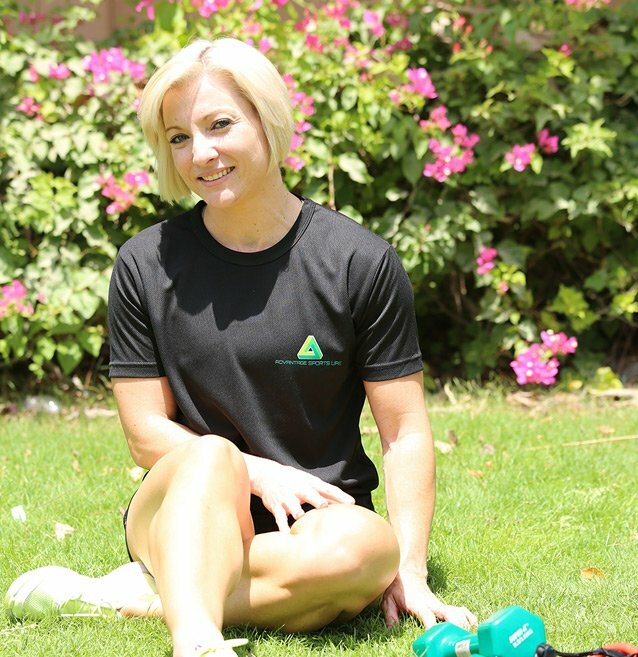 One of the many benefits of being a Personal Trainer in Abu Dhabi is you have an option of training clients with equipment they have either never seen before or feel too intimidated to use. I have always had a great love of training with free weights – as I had the opportunity to be a Figure competitor a few years ago, the love for it grew even more. There was a great satisfaction seeing how my body changed on a weekly basis and it was a pleasure proving the myth wrong that women who train with free weights become bulky or look ‘manly’. Each Personal Trainer has their own training style and some equipment that’s their ultimate favourites. Mine are using free weights, resistance bands and basic boxing skills (or shadow boxing) coupled with body weight exercises. When seeing this piece of equipment for the first time, many clients quietly giggle and wonder how this long piece of elastic would ever benefit them physically but to their surprise – it works just as well as free weights and many ladies don’t feel as intimidated using it as they would performing exercises using free weights. It is important to add variety to workouts as our muscles get accustomed to exercises fairly quickly – that is why adding a few Resistance Band workouts between sets can challenge your muscles. My female clients absolutely love getting their frustrations out on a set of punching mits. Teaching them the technique of basic punches gives them a feeling of liberation and also they never thought that punching a mitt a few times would actually make them work up a sweat. Their training routine will usually consist of a combination of punches coupled with a few body weight exercises, example: Jab / Jab / Left Hook / Right Uppercut / 10 jump squats x 5 sets (these can be performed whilst boxing with gloves or even shadow boxing. The reason I enjoy this workout is because there are no rules with regards to boxing combinations – I get to choose what combinations I would like my clients to perform and boxing is a great way to burn fat as the exercises are performed at a high intensity. My ultimate favourite is training clients on free weights or performing some basic aerobic movements whilst holding a set of dumbbells is a killer of a workout too. Whilst using free weights I always encourage my clients to focus on keeping their core tight and standing upright to ensure they don’t use their body for momentum to lift a weight or perform a specific exercise. Free weights have many benefits like building strength and increasing stability because they use their stabilizer muscles to perform exercises. Technique is crucial when performing exercises with free weights – not using the correct technique can be very harmful as you could either seriously injure yourself or you will finish your workout feeling that you have not benefited at all. When using heavy weights, it’s important to ensure there is a person who can spot you – a spotter will ensure you are keeping correct form and aid you when those last few reps are almost impossible to complete.